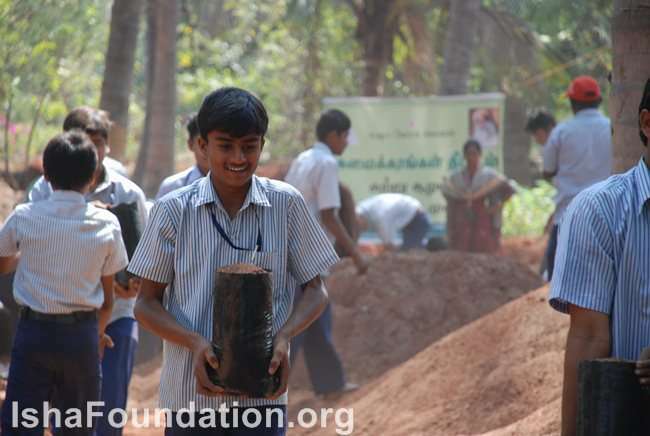 18th January 2012, marked the culmination of the Erode Green School Movement where 600,000 saplings were planted by the school children. The project has given an opportunity for Isha’s Project Green Hands to take the message of environmental conservation to schools in some of the most remote villages in Erode. While world leaders are stalled over the climate crisis, Isha’s Project GreenHands (PGH) is enabling school children to take the future in their hands. 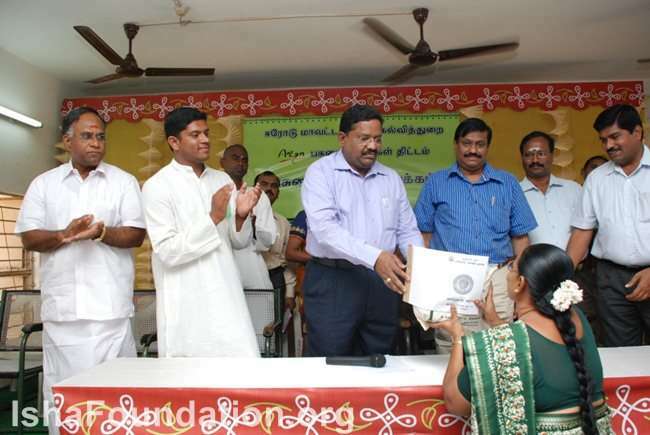 During August 2010, PGH in collaboration with the department of education in Tamil Nadu launched the Green School Movement as a pilot program in Erode district. The project mission is to create “green consciousness” among school children through a mind-set change by involving them in sapling production and plantation. Environmental conservation is delivered as an experience that is deeply imprinted in each child’s mind. 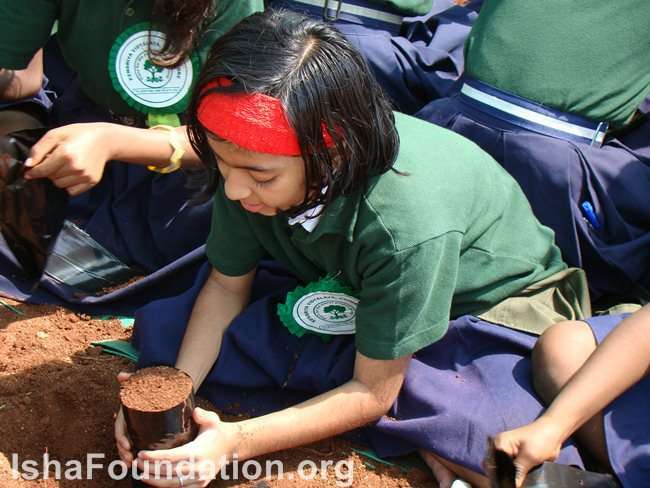 Nearly 1,200 school children from 300 schools joined hands with us for producing 2,000 saplings in every school. Seeds, covers and technical assistance required for producing the saplings were provided by PGH. One NGC (National Green Corps) coordinator plus two students from each school underwent the training program at PGH nursery in Gobichettipalayam. At the end of the training program, children were given 2,000 seeds and covers for raising saplings in their school. In the last 5 months, school children have been involved in nursery activities starting from sowing seeds, filling pockets, transplantation, watering, weeding, and distribution. 18th January 2012, marked the culmination of the Erode Green School Movement where 600,000 saplings were planted by the school children. The project has given an opportunity for PGH to take the message of environmental conservation to schools in some of the most remote villages in Erode. Our thanks to all the students, teachers, government officials and volunteers who made this project a success. We look forward to an even bigger Green School Movement in 2012! I LOVE IT!! Thank you Sadhguru for making Project Green Hands a growing reality. I will be grateful for those who coontinue this in future. Numerous oher folks might be benefited out of your writing. Mindblowing effort. I bow down to every once feet. kudos to Project Green Hands for this fabulous effort! byy nno means fouhnd anny interestikng aticle lie yours. couldn't rsist commenting. Welll written! Thnk yyou forr thee good writeup. agreeable from you! By thhe way, hhow ccan wwe communicate? I very enjoyed the standard information somebody provide for your visitors? I've been reading a lot of your articles and i must say very good stuff.